Roughly 34,000 Ohio students are members of military families. 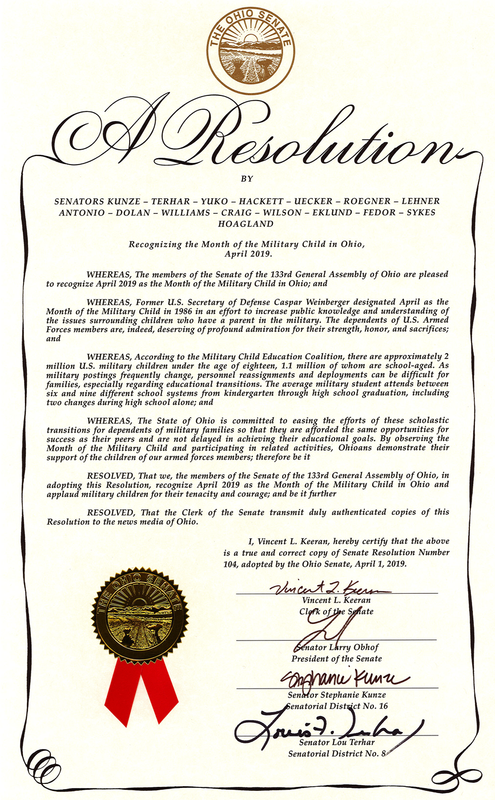 Ohio joins a nationwide effort in April to recognize children in military families and thank those families for their sacrifices. Frequent moves and family separations brought about by deployments — and sometimes by post-duty reintegration issues of a parent or family member — can present special challenges for these students. Yet, because of their resilience and ability to deal with life-changing events, military children can be an inspiration and source of pride to their communities, schools and nation. Districts may want to consider how they can join in the national Month of the Military Child in April. Learn more here about Ohio’s supports for military families.